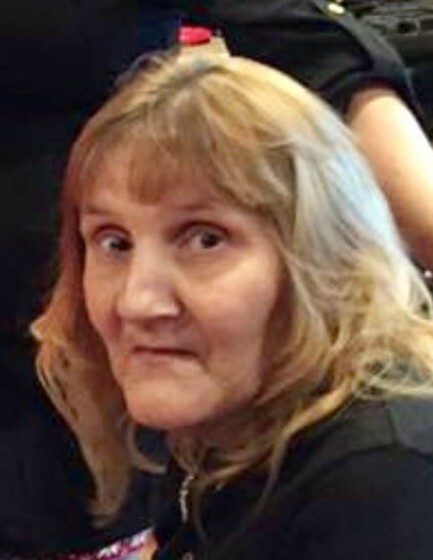 Sharon K. "Chickie" (Mell) Dean, 60, of Allegheny Township, passed away Sunday, September 2, 2018 surrounded by her family at Platinum Ridge, Brackenridge. She was born February 1, 1958, in Natrona Heights to Betty J. Perroz Mell of Natrona Heights and the late Ralph A. Mell Jr. Sharon worked as a machine operator for Mitchell's Plastics in Indiana Township. She enjoyed watching game shows on TV, crocheting afghans, playing bingo, crafts, her cat Midnight and spending time with her family. Sharon is survived by her son, Shawn F. Clair, of Allegheny Township; her mother, Betty J. Mell, of Natrona Heights; her siblings, Denise (William) Simmons, of San Antonio, TX., Christine Negley (Kristen), of Natrona Heights and Ralph A. (Brandi) Mell III, of Natrona; and by several nieces, nephews, aunts, uncles and cousins. She was preceded in death by her father, Ralph A. Mell Jr., and by her maternal and paternal grandparents. As per Sharon's request, services and burial were private. Arrangements are under the care of the Cicholski-Zidek Funeral Home, Inc., Natrona Heights 724-224-8688. Contributions in memory of Sharon may be made to the First Church of God, 739 Prospect Street, Brackenridge, Pa. 15014. To send an online condolence please visit www.cicholski-zidekfh.com.